Organisors report a buying bonanza across all three days of this year’s show. 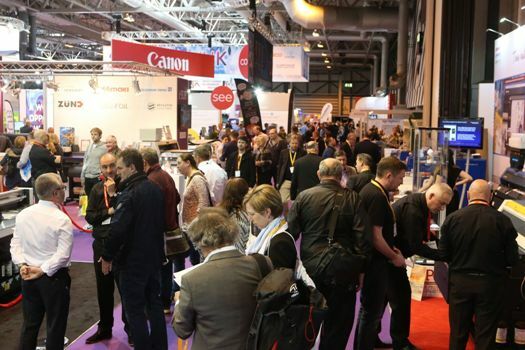 Well according to Sign & Digital UK, the leading exhibition for the sign making, display solutions and digital printing industry, this year’s exhibition was a resounding success, with a host of sales, product launches and new show features. It confirmed that plans are already underway for the exhibition’s 30th anniversary, with 42 per cent of the 2016 floor space already rebooked for 2017. 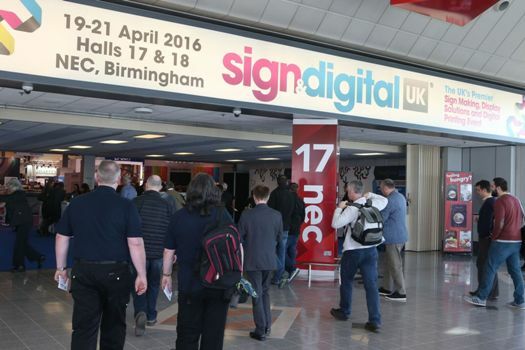 Companies which have already booked a spot for Sign & Digital UK 2017 include Blackman & White, Biesse, CMYUK, Complete CNC Solutions, Digital Blanks, Fairfield Displays, Graphic Printing Technologies (GPT), Inktec/Jetrix, Innotech, Perfect Colours, PrintMAX, Resolute DTG, Rollsroller, Signmaster Systems, Signwaves, Soyang Europe, Ultima Displays and Your Print Specialists (YPS). The three-day event took place at the NEC Birmingham, UK, from 19 to 21 April 2016 and was attended by 6,240* unique visitors from across the UK, Ireland and rest of the world. The show featured many exclusive product launches, live demonstrations, more than 35 daily seminars and workshops. 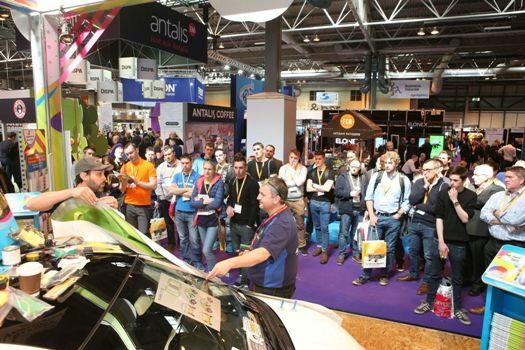 The event organisors also had some new features this year in the shape of the Digital Signage Theatre, plus the “Become a Wrap Expert” workshop featuring two of the world’s leading vehicle wrapping experts. Strong sales were reported across all three days of the show, with many exhibitors commenting on the quality and genuine interest of the visitors who came to their stands. “This year’s show has been another huge success! The combination of exclusive product launches and good quality visitors resulted in a buying bonanza across all three days.